Welcome to the naturally comfortable stride of the Skechers GOwalk 2-Stance walking shoe. This ultra-lightweight men\'s sporty oxford is crafted with a synthetic and mesh upper, smooth fabric lining and four-way stretch mesh panels for easygoing wear. An integrated OrthoLiteTM anti-microbial footbed helps inhibit odor and prevent slippage, while the shock-absorbing, ResalyteTM midsole cushions every step. 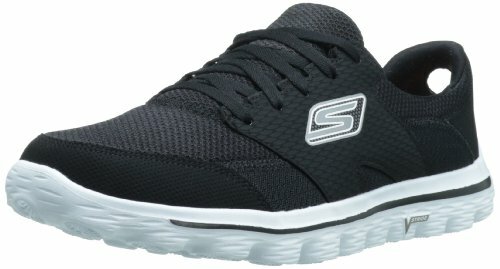 A flexible, traction-enhancing sole with GOimpulse sensors allow the Skechers GOwalk 2-Stance sneaker to deliver a more responsive, natural feel for the ground; V-Stride technology features a uniquely angled outsole that complements a natural walking gait and promotes fluid stride transitions. Mohon maaf, produk Skechers Men's Go 2 Stance Walking Shoe,Black/White,9.5 M US sementara ini sedang habis.